The Combo (shown), will be Opel's first new van with a PSA platform. Light commercial vehicles are playing a bigger role at Opel/Vauxhall under PSA Group ownership. Responsibility for future product development for the entire group will take place at Opel's technical center in Ruesselsheim. This autumn, Opel's first new van with a PSA platform, the Combo, goes on sale in passenger and commercial versions. Tobias Stoever, senior manager for LCVs at Opel, expects the move to PSA platforms to give Opel a "big boost." He explained why in an interview with Automotive News Europe Correspondent Peter Sigal. What were your goals with the new Opel Combo? The Combo is of ultimate importance for us. It's our first product based on a PSA platform, the EMP2, and next year we will introduce the new Vivaro [midsize van] based on a PSA platform. Our strategy is to bring product in-house [instead of developing vans with partners]. That benefits us greatly because PSA has been the leader in small vans for decades. We are really getting access to the best product in the segment, and we expect this will give us a big boost. We expect the Combo Cargo to account for about two-thirds of our sales, so that’s still the more important variant. However, we see a lot of growth for the passenger version [the Cargo Life] -- only 10 percent of previous Combo sales were the passenger versions. The Cargo has features you won't find on competitors. There is the overload indicator, for example, and surround rearview vision. The load capabilities are exceptional. You can carry two standard euro pallets even in the short version. How is the new Combo different? Compared with the current generation, it's a quantum leap. We have added a lot of features and flexibility. The crew cab [with three rear seats] is new -- you can fold the seats forward and slide the cargo fence forward to have maximum load space. We were able to add a second glove box because we moved the airbags to the roof. It has an eight-speed automatic transmission – we see demand for automatics going up in this segment. It's the perfect family car, with three Isofix child seat mounts in the rear. It will appeal to Opel Meriva customers who don't want a crossover look and appreciate the sliding rear doors. 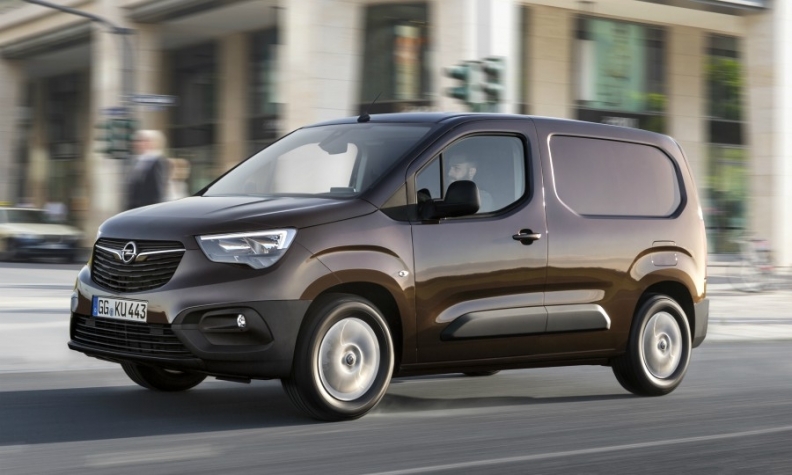 How do Opel vans fit into PSA Group's brand strategy? I think we have done an excellent job as a group with the K9 project [small vans including the new Peugeot Partner/Rifter and Citroen Berlingo] to differentiate the product. You can see that the Combo is part of the Opel family by its taillights and grille, but it doesn't stop there. One of the customer complaints with the previous generation [based on the Fiat Doblo] was that inside you didn't really feel like you were in an Opel. This isn't the case with the Combo. We have Opel's steering wheel, stalks and switches. So, we are sharing the good things but making sure each brand has a different character. Peugeot is going its own way with the Rifter, almost in a crossover direction. Citroen's Berlingo is typically very playful. We are very German, very straightforward, and especially for the Combo Cargo that is something that appeals to customers. 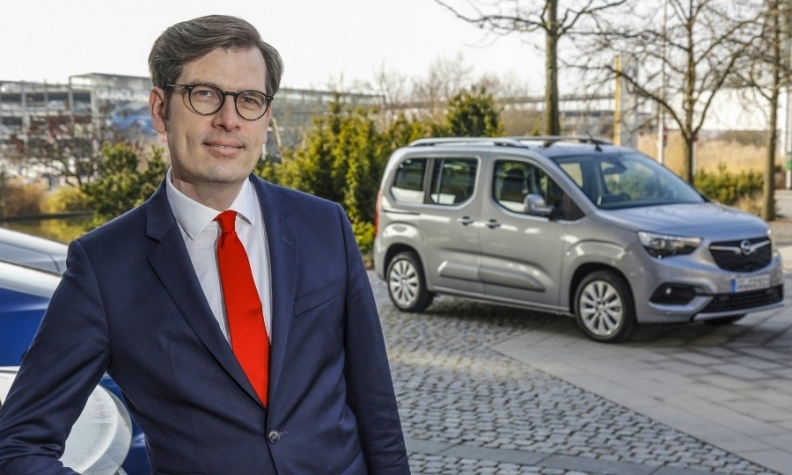 How did the process of combining Opel's and PSA's LCV divisions go? I have been an Opel employee for 15 years, so putting an Opel guy in LCV leadership shows there is a lot of trust in our capabilities. We work very closely with PSA's LCV business unit, but it's important for us to make sure that we develop the business by ourselves. On my team it's only Opel people, so we have a strong Opel DNA. In fact, we have been given the responsibility to develop future generations of LCVs for the entire group at our research and design center in Ruesselsheim. They will all come from our r&d center. We have been adopted and embraced by PSA as a family member, and not as strangers. One of the rationales that PSA CEO Carlos Tavares gave for acquiring Opel is that there isn't a lot of overlap between buyers who prefer French cars and those who prefer German cars. Who are your customers and competition? We won't have in-house competition. We won't cannibalize other PSA brands. Our competition is the Volkswagen Caddy or Ford Tourneo Connect. We have made some strategic decisions with our dealer network to improve our representation in the LCV segment. All of our dealers will be selling LCVs, not only the Combo but also the Vivaro and Movano. That will increase the number of LCV sales sites across Europe to 2,500 by 2020 from 1,900 today. Every dealer will sell the entire portfolio of passenger cars and vans. We are also going to establish specialized business centers across Europe. We have many customers with very specific needs, so you need expertise on conversion solutions, which we can better serve through the business centers, which have a higher level of stock and knowledge. Main challenge: Increasing Opel's market share in all LCV segments. Tobias Stoever: "We have been adopted and embraced by PSA as a family member, and not as strangers." What are your sales goals for the Combo Cargo and Cargo Life? We don't share sales targets, but you can see that today we sell about 20,000 to 25,000 Combos a year, while Citroen and Peugeot are selling 10 times that volume. Forty percent of that volume is passenger versions, and we do just 10 percent, so just by looking at the opportunity on the passenger side you can see that we will make a significant step up. Do you have plans to sell the Combo outside of Europe? Yes, the Combo will be sold in selected existing export markets. We are looking at other opportunities in line with Opel's overall international strategy. We can't share anything yet, but we know there are big LCV markets outside Europe. When will the new Vivaro appear? We will start production in Luton next year, so we will see it at dealers in late 2019. It's not so far away -- it's a very good rollout because the Combo and Vivaro will be two big volume drivers. We will stick to our agreements with Renault with regards to Movano [which is based on the Renault Trafic and built by Renault]. It's a very competitive product, so we will keep selling it.